If you have a problem with shoulder pain then we know exactly the kind of difficulties you are having. A constant ache that just drags you down. A burning or numb pain in the neck. Nagging discomfort in the shoulder blade region. Problems getting a good night’s sleep. All of these and more are the result of neck and shoulder pain. The shoulder is the most flexible joint in our body which can easily develop pain from daily wear and tear. Individuals who reach middle age, and use their shoulders frequently in their specific occupation are particularly susceptible. 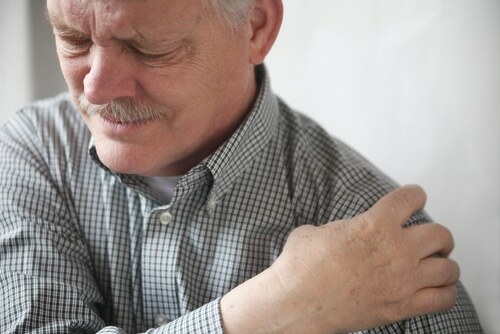 Frozen Shoulder, also called Adhesive Capsulitis, means the contraction of capsule surrounding the shoulder joint and the formation of scar tissue, which results in pain and restriction of shoulder motion. The cause of Frozen Shoulder is usually unknown, but it has been associated with arthritis, trauma and prolonged immobilisation. Females aged 40 to 60 years are most commonly affected. Intense pain is felt even at rest and there is mild limitation of motion. Pain is felt only with movement, there is significant adhesions, limited shoulder motions with substitute motions in the scapula, and weakness in deltoid, rotator cuff, biceps and triceps muscles. No feeling of pain but there is significant limitation of motion for 2-24 months, followed by spontaneous recovery or persistent loss of range of motion. Frozen shoulder can predispose the affected side to impingement and rotator cuff injury. Early treatment of frozen shoulder can dramatically reduce the level and duration of your pain, but also reduce the likelihood of further injury. 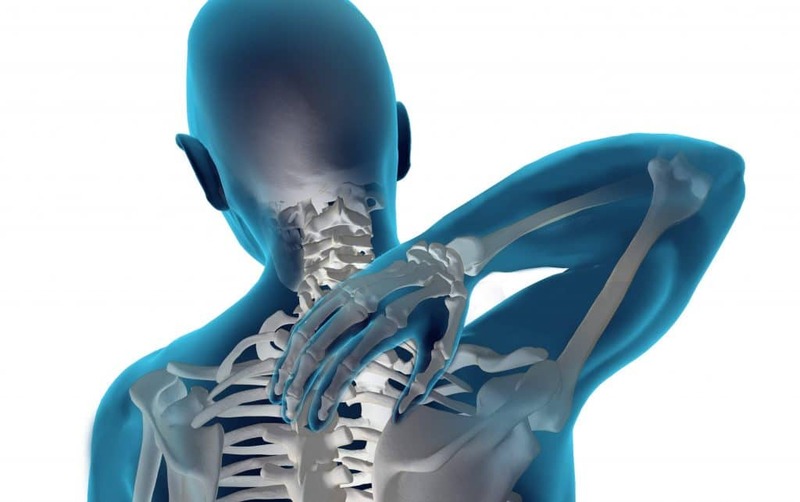 Our Chiropractor and Sports Therapist are all highly experienced in the assessment and treatment of soft tissue injuries, with training in biomechanics, tissue pathology and healing. Initially our Chiropractor will carry out a thorough assessment, then depending on his findings may offer to co-manage your recovery with our Sports Therapist. Rotator cuff injuries are caused by repetitive strain to the rotator cuff due to continued use of the upper extremity and impingement, or a fall on an outstretched arm. Repetitive strain first causes microtrauma and inflammation in the muscle and tendon, where pain and weakness are felt, and progressive damage or degeneration can lead to calcification and eventually tendon rupture. Those who are heavily involved in forward, overhead or swinging activities are most susceptible. Shoulder Impingement is caused by repetitive compressive loads on the rotator cuff and subacromial bursa due to irregular joint play, faulty scapular posture, joint degeneration and joint laxity (looseness). It causes chronic inflammation at the shoulder joint which may lead to fibrosis, tendonitis, and tears in the rotator cuff and biceps, even bone spurs. Usually pain is felt on palpation (physical examination using touch) and during movement, with poor endurance of shoulder activities. Those who are heavily involved in overhand throwing or lifting are most susceptible. Patients with Shoulder Impingement may also develop frozen shoulder in the affected side. The treatment of shoulder pain depends entirely on the cause of the problem. Therefore, it is important for the Chiropractor to accurately diagnose the problem before any treatment can start. If you are unsure of your diagnosis, or the severity of your condition, you should seek advice before beginning any self-treatment. Not all treatments listed here are appropriate for every condition, but may be helpful in your situation. Just remember, resting and taking painkillers only, is not a treatment that is likely to help your shoulder in the long term. But may well be part of what you need to do when the treatment starts. Ice and Heat: Ice packs and heat pads are among the most commonly used treatments for shoulder pain. Anti-Inflammatory Medication: Non-steroidal anti-inflammatory pain medications, commonly referred to as NSAID's, are some of the most commonly prescribed medications, especially for patients with shoulder pain caused by problems such as arthritis, bursitis, and tendonitis. There are of course some natural alternatives that your Chiropractor can recommend.